I have been taking pictures for over 30 years. I first began working professionally in the early 1970s, in South Florida, on feature, commercial, documentary and industrial films. My primary experience was as a cameraperson and editor but I always had a still camera at my side. My first job was working for the legendary Stanley Colbert at Mini Films (later known as Co-Productions). Stan exposed me to a world of art that I hadn't known before. At the beginning of his career Stan had been a literary agent and was Jack Kerouac's agent for "On the Road." 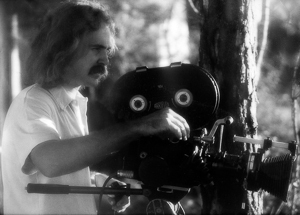 Later he was the executive in charge of production for Ivan Tors Studios in Miami, where he produced Flipper, Gentle Ben, and many other shows, before starting Mini Films. After Mini Films/Co-Productions he returned to Canada to become an executive producer at CBC and in the late 1980's he became president and CEO of HarperCollins Publishers of Canada. Another interesting fact is that Eric Clapton's "461 Ocean Boulevard" was named for Stan's beach house in Hollywood, Florida! In the mid 1970s I went to work for the Filmmakers Group in Fort Lauderdale and also worked freelance elsewhere in the south Florida area. During that time I had the good fortune to be able to work with some top film editors in the industry such as Fima Noveck, Michael Luciano and most closely with Angelo Ross. In 1981 I moved to Boston, where I worked for several years as a video editor at Cinemagraphics/Video One and then at WGBH. In 2005, having become interested in sustainability issues, I decided to return to making films (www.jancannonfilms.com). Vermont had many groups and individuals promoting ideas about sustainable living and I felt it was important that those voices be recorded. Observing that many people still didn’t understand the challenges posed by over-consumption, climate change and peak oil, I decided that I wanted to be more actively involved in working for positive change in the world, especially by using film to educate and promote ideas of sustainable living. When I returned to filmmaking, I still had the sensibility of a studio artist. During the time I had been away from filmmaking the technology had changed radically and I was now able to work completely independently in what was traditionally one of the most collaborative of mediums. Working independently has allowed me to maintain a low profile and achieve an intimacy on projects that would otherwise be unachievable with a larger, more traditional filmmaking approach. As a studio artist the expression of beauty was always the primary aim of my work; and it remains so in my work as a filmmaker and a photographer. My last film, An Uncommon Curiosity: at Home and in Nature with Bernd Heinrich, was filmed with a Canon 5D Mark II, a still camera that also shot fabulous high-definition video. Having this extraordinary tool at my disposal I over time began focusing more and more on still photography. Late 2011 marked the beginning a radical departure for me from what I had been doing photographically in the past and the images began to be significantly enhanced by digital post-processing. It is a work in progress and I hope that people enjoy this new work as much as I am.